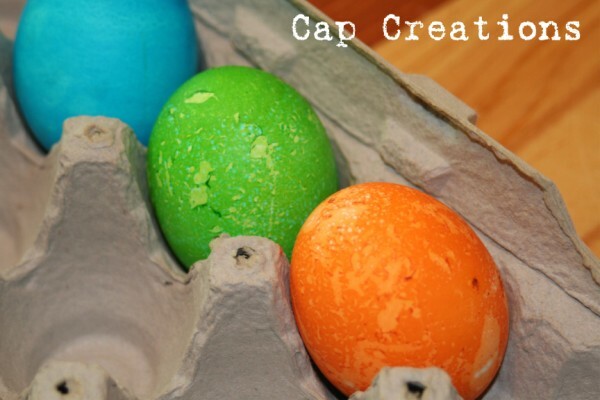 Cap Creations: Egg dying fun! 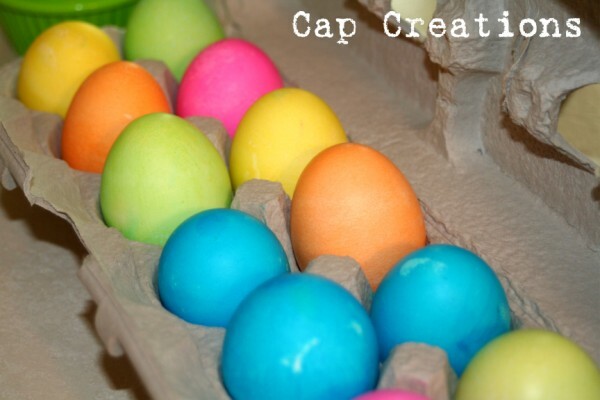 Lots of Easter egg dyeing going on everywhere! 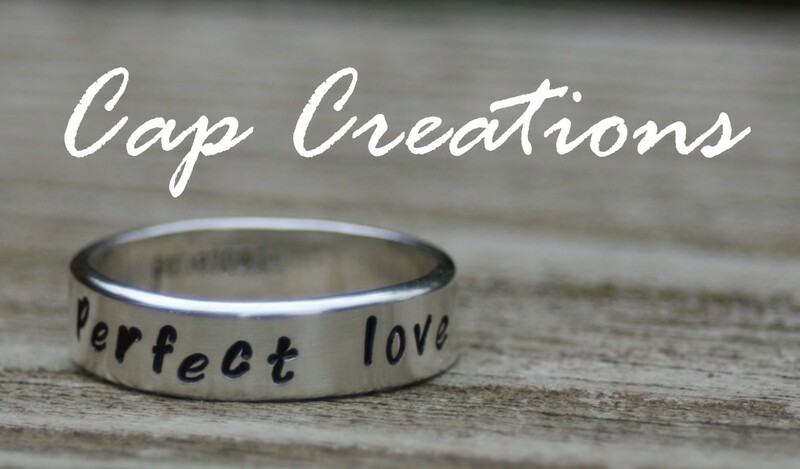 We just did ours and I wanted to share them with you. Cause they are sooooooo pretty! Love all the bright color. 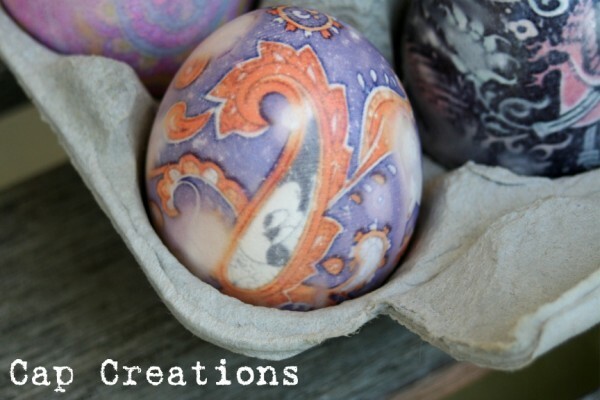 Also managed to squeeze in some silk dyed Easter eggs this year. While the kiddos were dying theirs I had these lovelies boiling! Tried something a little different this time. We left off the outer white fabric wrapping. I wanted to see if this step could be eliminated and they still came out just fine! Yay! 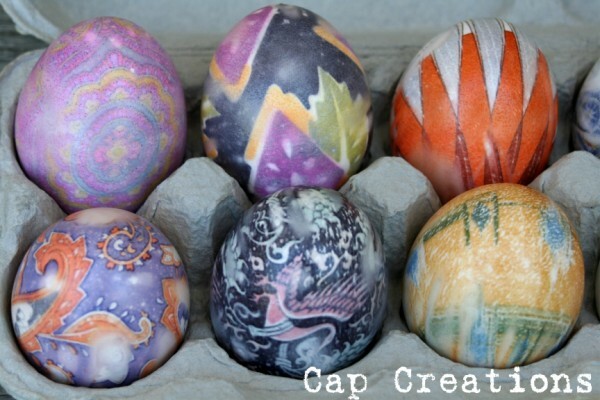 You can find instructions for these silk dyed eggs HERE. I like this orange one ↓ for some reason. And several of them look like tattoos to me. Can you see Mickey in the one below? ﻿Have you done your eggs yet? 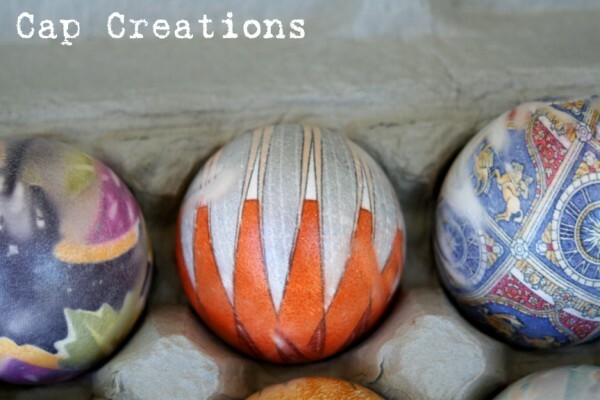 Have you ever tried the silk dyed eggs? 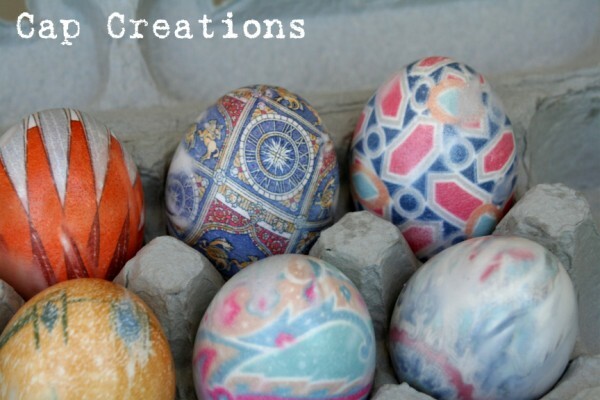 Wow, I have never tried silk died eggs, but they look A M A Z I N G! Are they alright to eat after you dye them? I will have to put that on my list for next year! 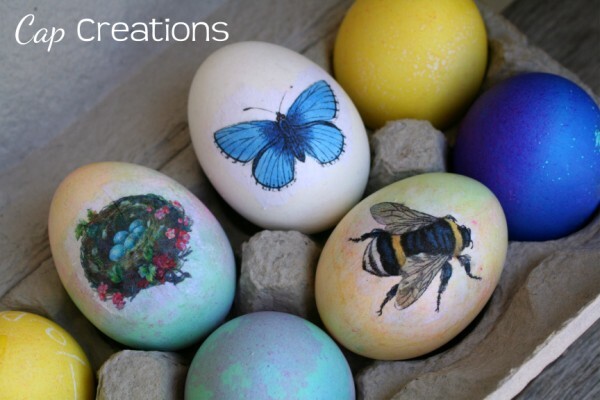 Wow...what pretty eggs! 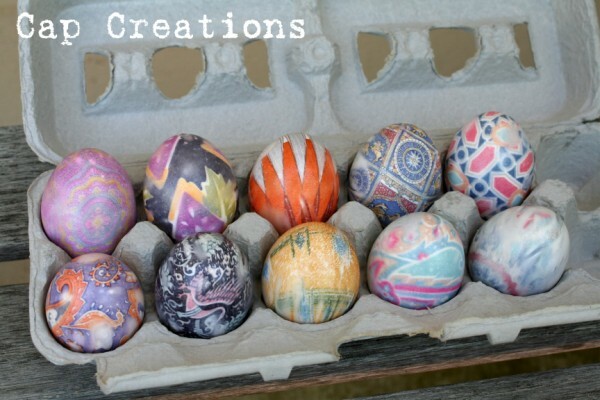 Your regular ones are such pretty colors and the silk dyed eggs are amazing! My favorite photo is the second one. I love the bright colors. Love the eggs and the photos. Great job.